Produktinformationen "Tondonia, Viña Cubillo Tinto Crianza 2008 Rotwein"
Rioja Rotwein Viña Cubillo Tinto Crianza 2008 (Rotwein) von Vina Tondonia. Rebsorten: 70% Tempranillo, 20% Garnacha, der Rest setzt sich aus Mazuelo, Graciano und Viura zusammen. Ausbau: 3 Jahre im Barrique aus amerik. Eiche und danach 2 Jahre in der Flasche. 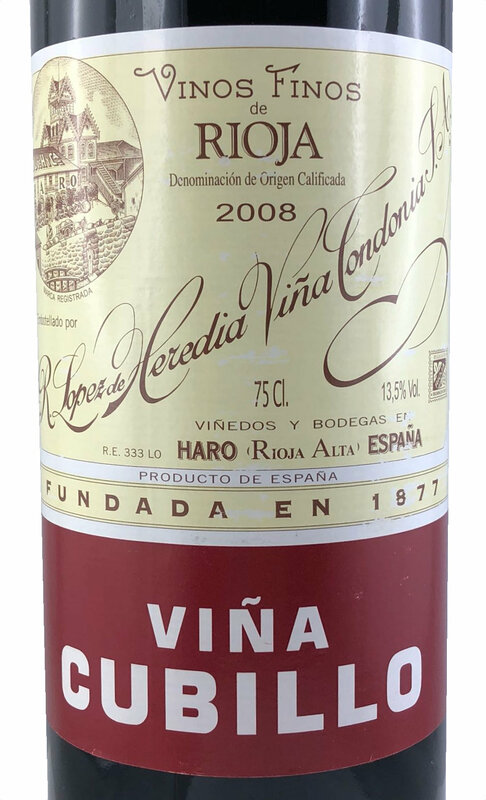 "The first of the reds here is the 2008 Viña Cubillo Tinto Crianza from a cooler vintage that produced some austere and serious wines--a year with higher acidity and lively fruit. It feels effervescent and it makes you salivate. This is usually a blend of 70% Tempranillo, 20% Garnacha, 5% Graciano and 5% Mazuelo from 50-year-old vines that ferments in ancient oak vats, and ages in barrel for three years. This cuvée has increased its quality tremendously since the 1990s. These cooler years provide citric freshness, and a very fine texture and vibrant acidity. This is so easy to drink that it can be dangerous.This was the Rioja clarete fino--the everyday red. It's both elegant and powerful. Very good value, too. 99,000 bottles produced." Hinweis: Die Abbildung zeigt ggf. 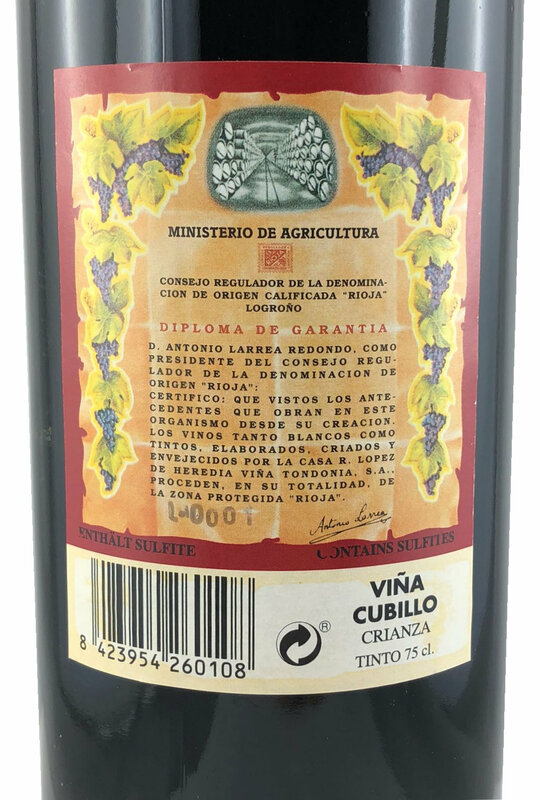 einen anderen Jahrgang als den hier angebotenen Tondonia Viña Cubillo Tinto Crianza 2008 (Rotwein). Weiterführende Links zu "Tondonia, Viña Cubillo Tinto Crianza 2008 Rotwein"